Jun Racing Technology is the leading brand in design and manufacturing of auto parts for high performance cars, both street and competition, as well as commercial vehicles. The state-of-the-art processing machinery, we have the production of good quality and high precision products, and techniques developed over 60 years of experience in JUN. 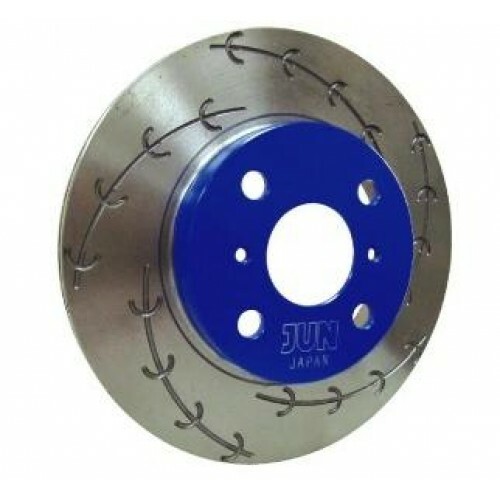 For the long or short distance drive,the normal or slotted rotors surface will usually expand or contract causing small cracks (heat cracks) to occur after a period of time. 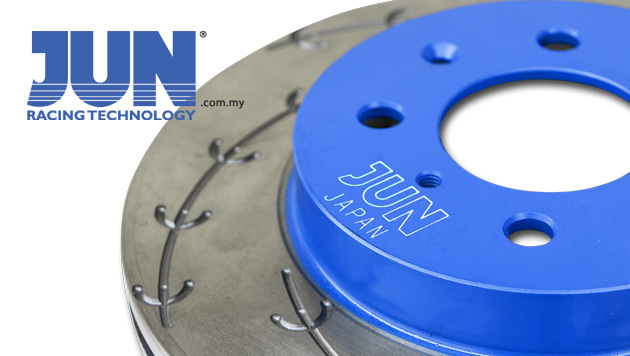 And therefore reducing the friction efficiency, Jun Racing Technology has come out with a special heat treatment technology to performed in advance to stabilize the components of the rotors itself to greatly decrease heat cracks during driving. 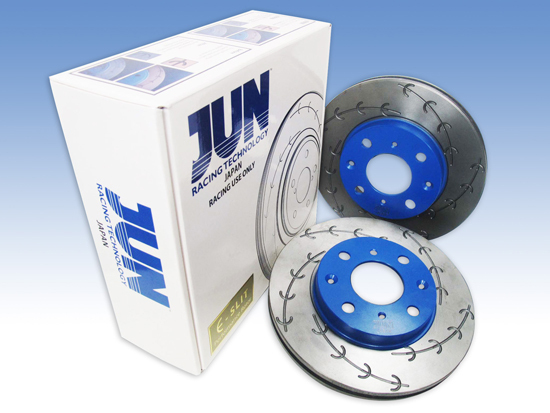 With this technological breakthrough this will expand the lifespan of the rotors and give the driver a peace of mind for a long term usage. Long slits aligned on the slit with the word E, called ” E SLIT ROTOR”. 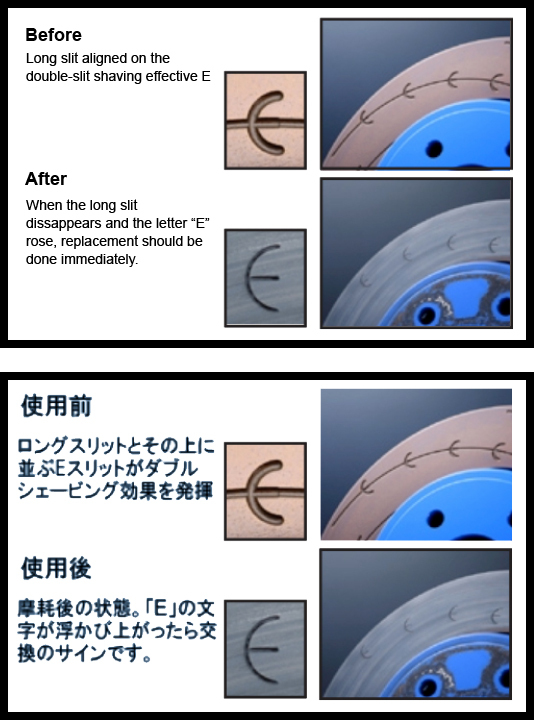 The E-Slit will smoothly shave the pad and resulting in a fast and efficient braking force to slow down the vehicle and still maintain the brake pad in desirable condition.The advantages of the “E SLIT ROTOR” are also proven to expel water in wet conditions,as well as removing dust and debris along the way.When the long slit disappears together with the letter “E” rose. Replacement should be done immediately. PRICE DEPENDS ON MODEL, RM599/SET ONWARD.